Home Technology Is Verizon killing it as a mobile video star? 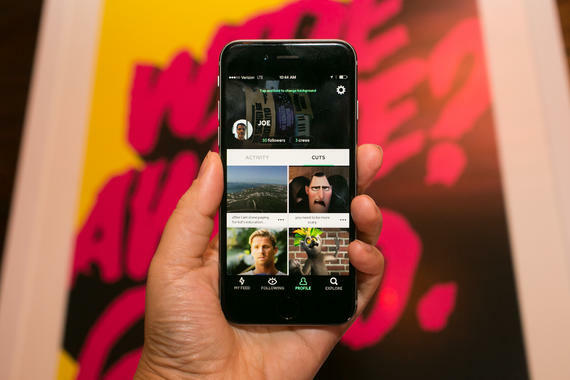 Verizon launched Go90 in September. Verizon doesn’t simply want to be your wireless provider. It hopes you’ll be glued to your phone watching its videos, too. Go90 marks another attempt by an old-school company to break out of its traditional business and deliver you video through the Internet, in this case a cellular or Wi-Fi connection to your phone. Companies such as Dish Network and Sony are offering online TV services, and rival carrier AT&T is readying its own service to be unveiled later this month. While Verizon is known for a high-quality wireless network and the Fios home Internet and cable-TV subscription services, the free and widely available Go90 underscores the company’s desire to cater to everyone — anyone with a phone can use the service. Go90 just needs to get out from under the legacy of failures that have undercut Verizon’s past video ambitions. The New York-based company once attempted to take on Netflix with its own online video-on-demand service, Redbox Instant, only to shutter it in 2014. In 2012, it put an end to its own mobile video service, V Cast Video (rebranded as Verizon Video). Verizon believes it’s cracked the formula with Go90. 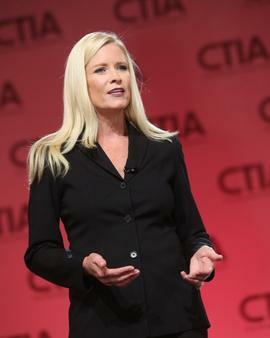 Verizon executive Marni Walden is in charge of the Go90 mobile video service. It’s had a rough start, however. The app quickly fell off the top charts on the Apple App Store and Google Play store. On Thursday, Verizon stayed silent on the progress of Go90 in its fourth-quarter earnings report, offering only a single reference to the service in its press release. That’s largely because while Go90 represents where Verizon wants to go, it has a minimal impact on near-term financial results. The company added 1.5 million wireless subscribers in the quarter, its growth largely fueled by customers who snapped up tablets. The company has been under pressure from increased promotional activity by smaller carriers Sprint and T-Mobile. The slower growth comes amid a general slowdown in customer growth, as folks have generally committed to their carrier of choice and there are fewer people who haven’t already signed up for service. Still, customers stuck with Verizon despite the competitive wireless environment. The company’s turnover rate fell below 1 percent, down 18 basis points from a year ago, demonstrating a high level of loyalty. For the fourth quarter, Verizon posted a profit of $5.39 billion, or $1.32 cents a share, reversing a year-earlier loss of $2.23 billion, or 54 cents a share. Revenue rose 3.2 percent to $34.25 billion. Stripping out one-time items, the company’s adjusted earnings of 89 cents a share topped the 88 cents a share that Wall Street expected, according to Thomson Reuters. Verizon shares rose 0.8 percent to $44.79 in premarket trading on Thursday.